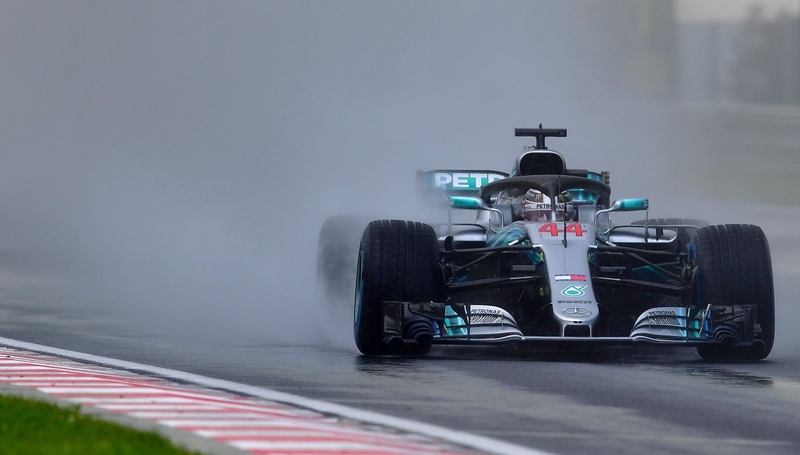 Lewis Hamilton handled the wet conditions in qualifying. 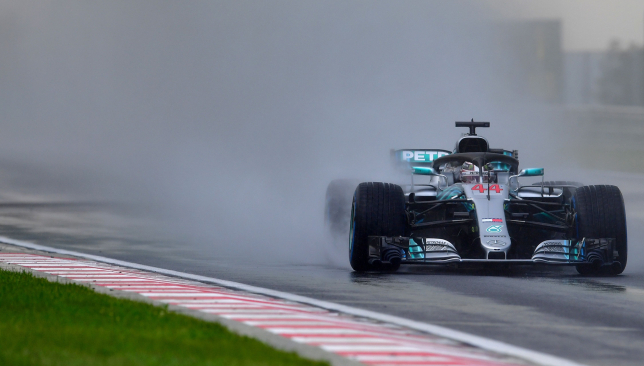 Lewis Hamilton put his Mercedes on pole position for the Hungarian Grand Prix after delivering a masterclass in the rain. 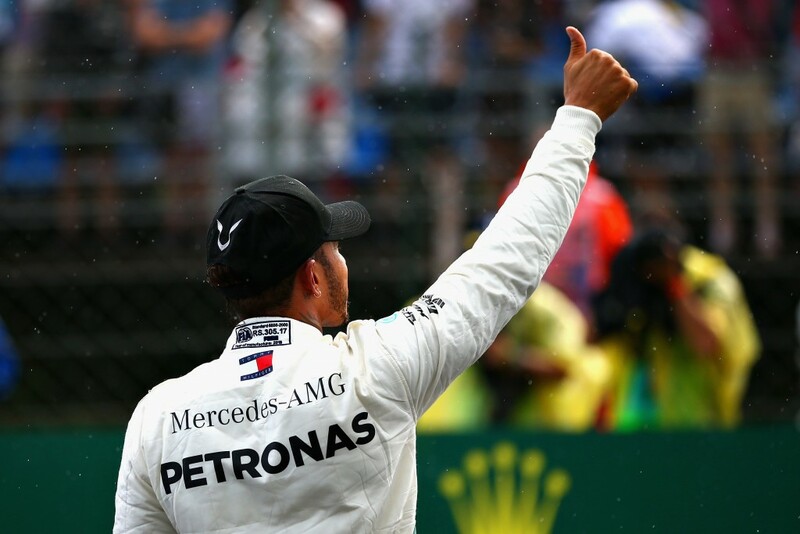 Hamilton’s championship rival Sebastian Vettel was expected to be the fastest in the dry, but, as ever, Hamilton turned on the style when the heavens opened. The Englishman beat team-mate Valtteri Bottas by a quarter of a second to the top slot on the grid, while Ferrari’s Kimi Raikkonen third. Vettel, 17 points behind Hamilton in the championship, finished only fourth, more than half-a-second down on his rival. Dark clouds hovered over the Hungaroring before large claps of thunder ensured a downpour was imminent. Moments later, the rain arrived to ensure the first wet qualifying session since last September’s Italian Grand Prix. On that day, Hamilton prevailed with a remarkable lap, and here the Briton was at it again to prove his credentials in the slippery conditions. Vettel, who crashed out from the lead of his home race in Germany last week, appeared cautious, and will now have his work cut out from fourth at a track where overtaking is difficult. “We couldn’t have expected this because Ferrari have been quickest all weekend,” Hamilton, only fourth in final practice, said. “We were going to try and do our best to be as close to them as possible, but then the heavens opened and it was fair game. “It is so tricky out there. Towards the end it was getting really wet and it is difficult to arrive at the corner and know how much grip you are going to have. Red Bull driver Daniel Ricciardo was the biggest victim to fall foul to the changeable conditions. The Australian failed to get in a good enough lap at the start of Q2, and as the rain intensified, he was unable to haul his car into the top-10 shootout. He qualified only 12th. Fernando Alonso was on hand to state just how wet the track had become when asked by his race engineer if he should stick to intermediate tyres or change to the full wet rubber. And that is where the double world champion, who on Sunday turns 37, will start. His team-mate Stoffel Vandoorne, who has been desperately out of sorts in recent races, was 16th. Cash-strapped Force India were placed in administration on Friday evening following a court hearing, and their problems away from the track were replicated on it here. Esteban Ocon and Sergio Perez, the Mexican driver who initiated the legal proceedings with his sponsors owed more than £3million, fell at the first hurdle and will start only 18th and 19th of the 20 runners. 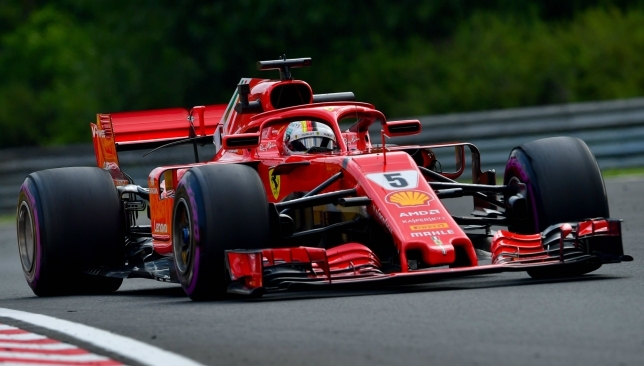 Vettel was on top in FP2 at the Hungaroring circuit. Sebastian Vettel lit up the time sheets in the second practice for the Hungarian Grand Prix as Lewis Hamilton could manage only a distant fifth. Vettel is bidding to bounce back from his nightmare race in Germany after he crashed out from the lead to hand the championship advantage back to Hamilton. Ferrari arrived here hoping that the slow-speed Hungaroring circuit would suit their machinery, and so it proved as Vettel saw off the Red Bull duo of Max Verstappen and Daniel Ricciardo to claim top spot. Verstappen, however, was just seven hundredths of a second down on Vettel to suggest that Red Bull could take the fight to Ferrari this weekend. As for Hamilton and Mercedes, they appear to have their work cut out at the sport’s final round before the month-long summer shutdown. 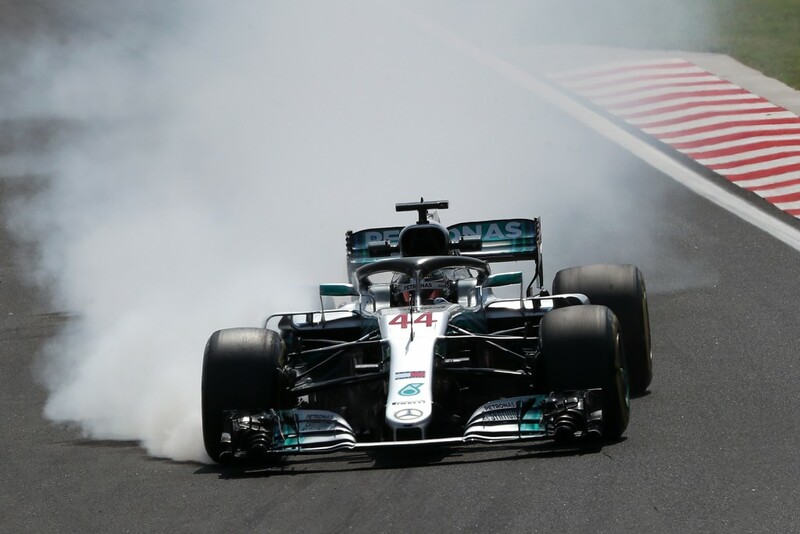 Hamilton, who holds a 17-point lead over Vettel, was fifth in both practice sessions, and finished an alarming three quarters of a second behind Vettel in the afternoon running. His Mercedes team-mate Valtteri Bottas was even further back in sixth with the Silver Arrows, as has been the case in recent seasons, off the pace at this slowest of the non-street circuits. Hamilton finished a distant fifth in his Mercedes. Traditionally, Ferrari also tend to hold a little in reserve during practice, so Vettel’s speed is likely to be a concern to their rivals. Fernando Alonso’s McLaren team have brought a heavily-revised car to Hungary, but there was little improvement for the Spaniard. Alonso, who celebrates his 37th birthday on Sunday, was only 12th in the order, two seconds down on Vettel. His team-mate Stoffel Vandoorne has been desperately out of sorts in recent races, and the Belgian was second-to-last in the standings, nearly a full second behind Alonso. He was also fortunate to avoid crashing into the barriers after spinning off at turn five. Elsewhere, Romain Grosjean was the best of the rest as he finished seventh for Haas. Carlos Sainz was eighth for Renault ahead of Toro Rosso’s Pierre Gasly. Esteban Ocon completed the top 10 in his Force India.